Kerry Thompson is the CEO of the Municipal Association of Victoria (MAV). She is the first female to be appointed in this role since the MAV was formed in 1879. Kerry brings a wealth of knowledge, experience and expertise from more than 20 years in executive leadership roles in the local and state government sectors. 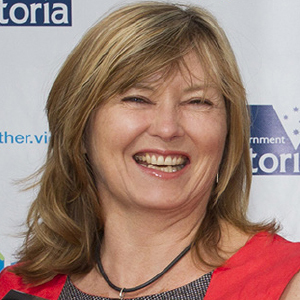 Prior to joining the MAV, Kerry was acting Chief Executive of VicRoads. Kerry was the CEO at Wyndham City Council for five years and CEO at Maribyrnong City Council for seven years. Prior to this, she was also the Director of City Services and Assets at the City of Melbourne for four years.